If you love driving pickup trucks, you’re probably already a fan of the Ram truck lineup, and know that the 2018 models have more variety than ever before. 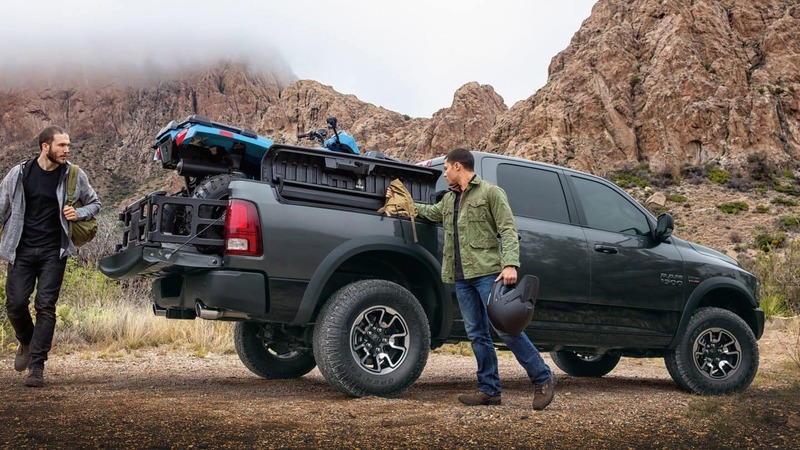 With the amazing capabilities and features that the 2018 Ram 1500, 2500 and 3500 have to offer, it may be difficult to determine which tough truck is right for you. But don’t worry! Royal Gate Dodge is here to help! We are going to take a closer look at all three vehicles so that you can better decide the 2018 Ram model that suits your needs best. The light-duty 2018 Ram 1500 pickup truck really packs a punch. The cab has plenty of room inside with a 6’4” box and it is powered by either a 3.6-liter Pentastar V6 or 5.7-liter HEMI engine. On the outside, there is a new monochromatic finish that contrasts a solid color with swathes of chrome accents. The 1500 Ram has superb suspension that works at each corner of the truck to deliver a fantastic ride no matter what the terrain. The slightly bigger brother to the smaller Ram 1500 is the 2018 Ram 2500, which has a choice of a 6.4-liter V8 or 6.7-liter V8 engine powering its capability. There are some other extras of note including a 3.5-inch cluster display containing driver information, including navigation and driver assistance, with extra storage available in the crew cab models. New storage compartments are fitted in-floor in the rear and under-seat in the cab in these models. 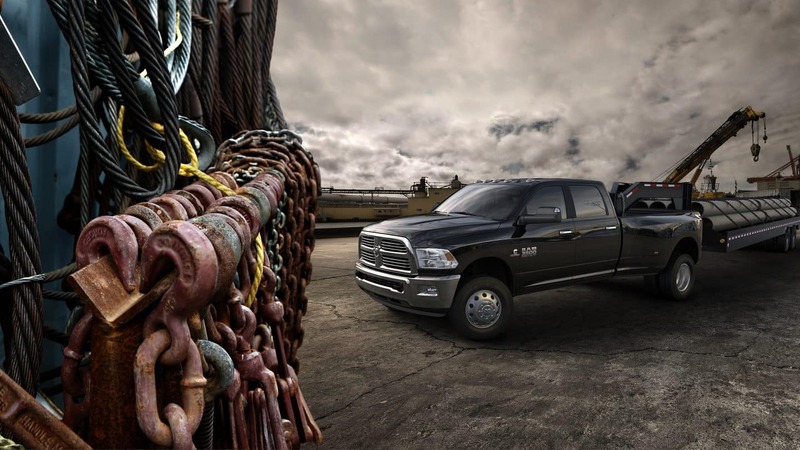 The 2018 Ram 3500 is the construction workers’ truck, with unbeatable capacity for handling heavy loads. 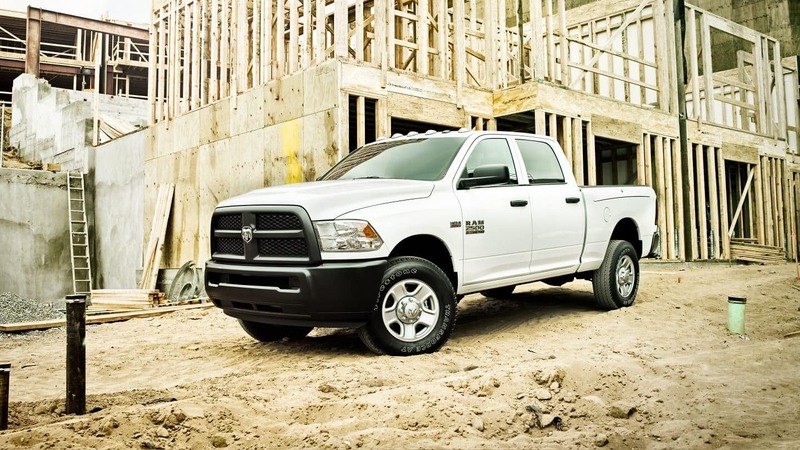 The powertrains for this model include a 6.7-liter turbo diesel or a 6.4/5.7-liter HEMI engine. The biggest version of the 2018 Ram also has front and rear Parksense®, premium LED tail lamps among an array of super-cool additions and upgrades. 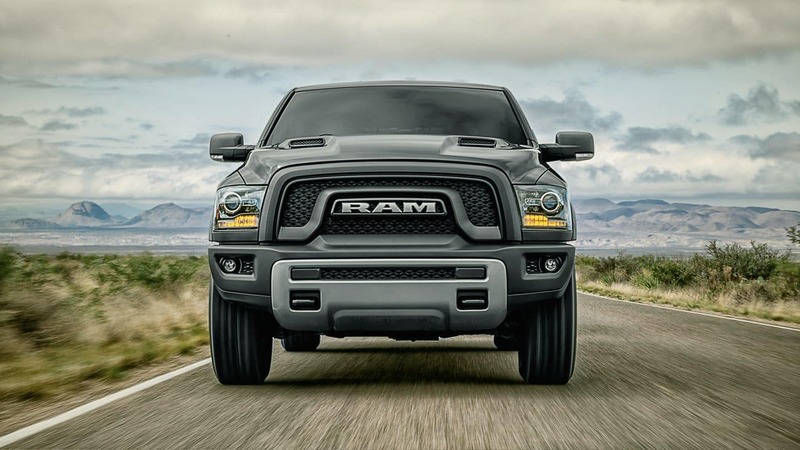 Royal Gate Dodge Chrysler Jeep Ram has a wide range of new Ram trucks for sale in Ellisville, MO and we would like to invite you for a test drive! There’s so so many differences between the 2018 Ram 1500, 2500 and 3500 that you really have to see for your own eyes. Come down and visit us near St. Charles, MO or contact us now to set up a test drive of the new 2018 Ram pickup truck at Royal Gate Dodge today!